The following report and recommendation relate to Geoffrey fashion house. The planned project is to be fully implemented with an investment of N22,290, 000 with a fixed capital of N7,290,000 and a working capital of N15,000,000. The proposed project is to be located in Warri, Delta State Because of good available market and access road. There is a ready market for the planned project. The level of demand for the product is quite high by virtue of the fact that Warri is a busy town with high concentration of oil workers and subsidiaries. The financial position reveals a good liquidity and stability. The project turnover for 2015, 2016 and 2017 respectively is N29,152,200; N33525,030; and N38,553,785. Net profit for 2015 is N4,682,000, increasing to N5,480,700 in 2016 and N6,410,000 in 2017. 1.7 The funding requirement is N22,290,000 which is expected to come from the Federal Government as grant for the Amnesty re-integration programme. The planned business is as result of feasibility study carried out by Geoffrey Fashion house in Warri and its environ. As the population of the area is currently on the increase, the demand for quality fabrics is also on the increase. To be a one-stop shop for quality fabrics and a household name in fashion industry in South-South Nigeria. To provide quality fabrics that will meet the taste of different target groups at competitive prices continually. The promoter wishes to locate the business in Warri area of Delta State because of existence of market, infrastructure and strategic nature of the place (due to the presence of oil companies and their subsidiaries). Our products will include ladies/women and men wears, jewelries, shoes, bags and accessories. Our target customers will include ladies, men, corporate executives, the youth especially the students. The fashion industry in Nigeria is a highly competitive one. There is an average of three fashion shops in a street. It is also a fast changing industry owing to the rapid change in fashion. The desire of the consumers to keep pace with the trends makes the competition more challenging. Our fashion outfit intends to deliver unique fabrics at competitive prices as a new entrant. The emphasis today is on the way people look as well as the need to keep up with the trends in fashion has created a large market for the boutique business. The change in lifestyle in addition to change in social and corporate pressure have made boutique business a good option for busy corporate executives and house wives who may not have the time to shop from the regular markets. Besides, the youth, ladies and gentlemen find boutique a ready source for their fabrics needs. So there exists a ready market for fabrics especially if they are trendy. Special sales promo, home delivery service and offer of tailoring services will be our core marketing strategies. 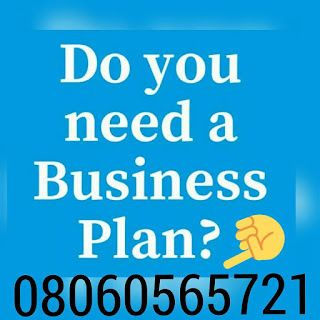 After payment text your name and e-mail address to 08060565721 and you’ll receive your CLOTHING BOUTIQUE BUSINESS PLAN / FEASIBILITY STUDY IN NIGERIA.